(0 Customer Reviews) | Write Review 12 issues per year We think this is the best dog magazine in the world! 20 years of helping people find and train the ideal dog and live life together to the full. More to read than other less passionate, formulaic dog mags. Award-winning, tackling serious issues head-on, imaginative problem-solving for our readers, but still finding time to have lots of fun. Gorgeous photography and illustration, top writers and lots of ways you can get involved and possibly see your dog in the mag! Friendly, inclusive, mould-breaking, campaigning. Produced by a tiny independent publishing team that loves dogs as much as you do. Heroic dogs, amazing inspirational stories, beautiful dogs. Point of sale: why are shops selling rescue pets? Cloning: twice as nice or double trouble? Good books up for grabs! We think this is the best dog magazine in the world! 20 years of helping people find and train the ideal dog and live life together to the full. 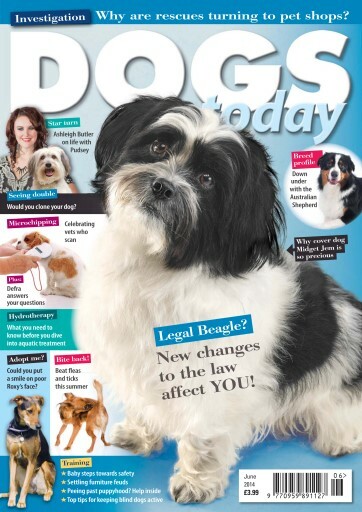 You'll receive 12 issues during a 1 year Dogs Today Magazine magazine subscription. 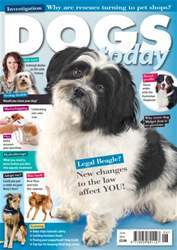 You'll receive 12 issues during a 1 year Dogs Today Magazine magazine print subscription.